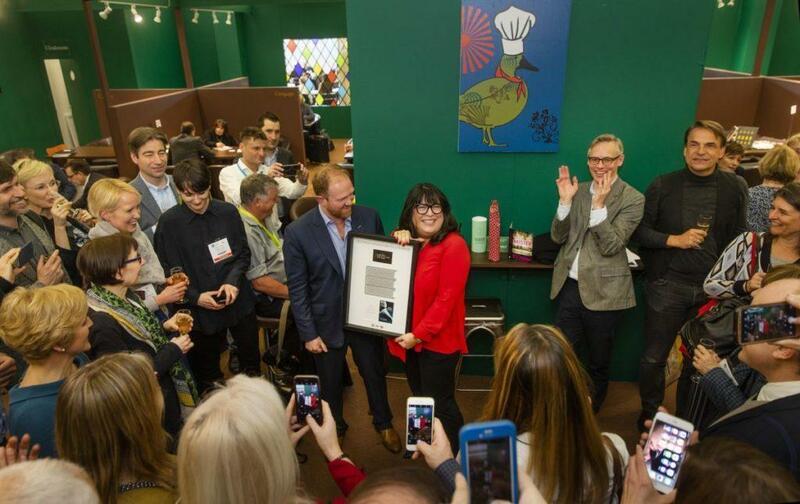 On the 13th of March, 2019, E. L. James was presented with a Sextuple Platinum Award for Fifty Shades of Grey at the London Book Fair. A former TV executive, wife and mother-of-two based in the leafy suburbs of West London, James has been writing romantic fiction since 2009 and in 2012 her career took an extraordinary turn when the Fifty Shades Trilogy became worldwide bestsellers and subsequently a series of blockbuster movies. James’ first novel in the Fifty Shades trilogy has astonishing sales of over 6,500,000 in the UK alone.